In our third article of four, Modern Doors are going to discuss fire door certification in more depth. Just like fire doors, all passive fire protection products are potentially life-saving, and with this in mind third party certification involving independent testing and auditing should be the minimum standard demanded for every building. The performance of timber doors is assessed by subjecting them to a standard test procedure specified in BS 476: part 22:1987 or BS EN 1634-1: 2000. 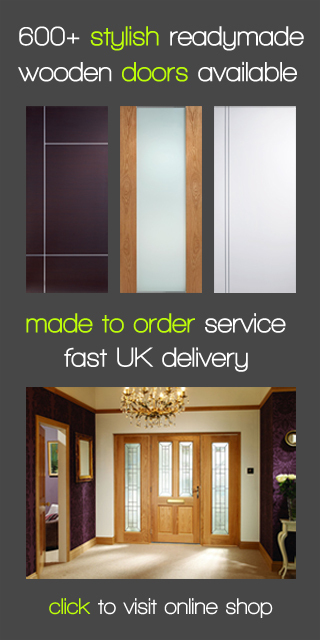 Tests are made on complete door assemblies including door and door frame and all the requisite hardware (e.g. locks, latches, hinges etc.) We will refer to this as a ‘door set’, which is fixed in a wall to represent its use in practice with the door face then exposed to heat conditions that would be anticipated in a fire while observing the door for both stability and integrity. To conform to British Standards tests are required to be carried out with the upper part of the door under a small positive pressure which simulates closely the conditions likely to occur in a fire. It also provides an objective method of establishing the loss of integrity of a fire door by the use of a combustible fibrous pad on the unexposed side of the door to see when it ignites. Of course fire doors are tested from each side to establish their level of performance with either face exposed to fire conditions. A weak point surrounding fire doors is on its edges and for this reason a technique has been developed for minimising the susceptibility of door edges to early penetration by fire. It consists of applying intumescent seals to the edges so that a rise in temperature will cause the material to swell and close the gaps. Intumescent seals are about 4mm thick by 10mm wide, cut into a groove in the door or the frame edge. As soon as the temperature in the vicinity of the strips exceeds 200 deg C, usually about 10-15 minutes from the start of a fire, the seal swells and seals the gap around the door. 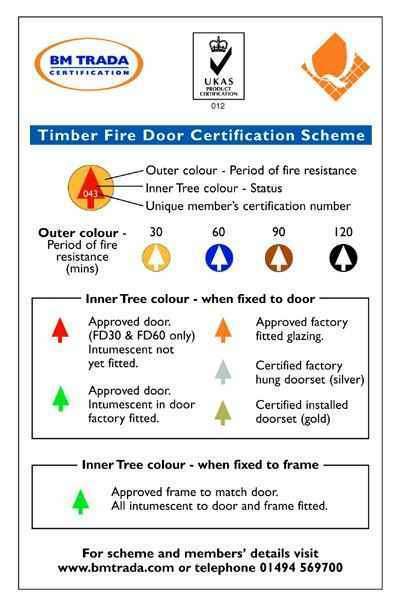 Manufacturers can certify fire door sets, both for identification purposes and to guarantee their performance in a fire situation. This door set will then be tested by an approved fire testing centre and once approved each similarly constructed door set will be identified by a label or colour coded plug usually affixed to the top edge of the door.